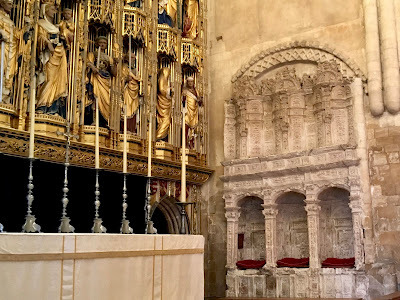 There has been a church on this site for more than a 1000 years and this magnificent Norman church was established in 1107 when William d'Aubigny founded a Benedictine monastery here. 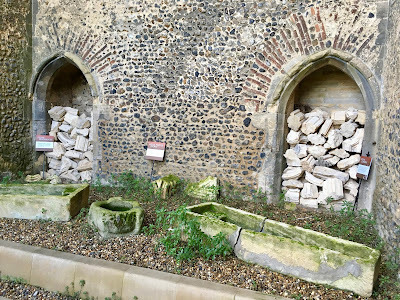 Part of the original monastery that was destroyed during the Reformation can be seen to the left of the church tower. 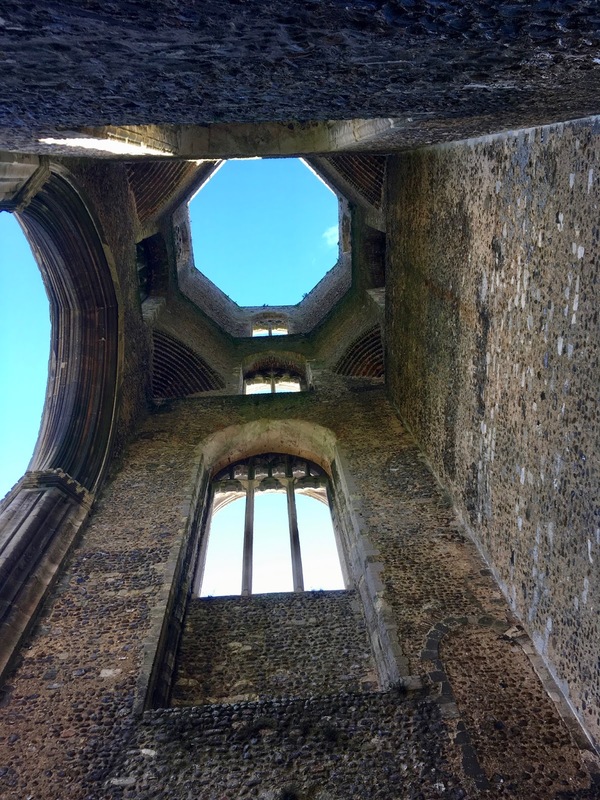 The east tower is open to the elements. 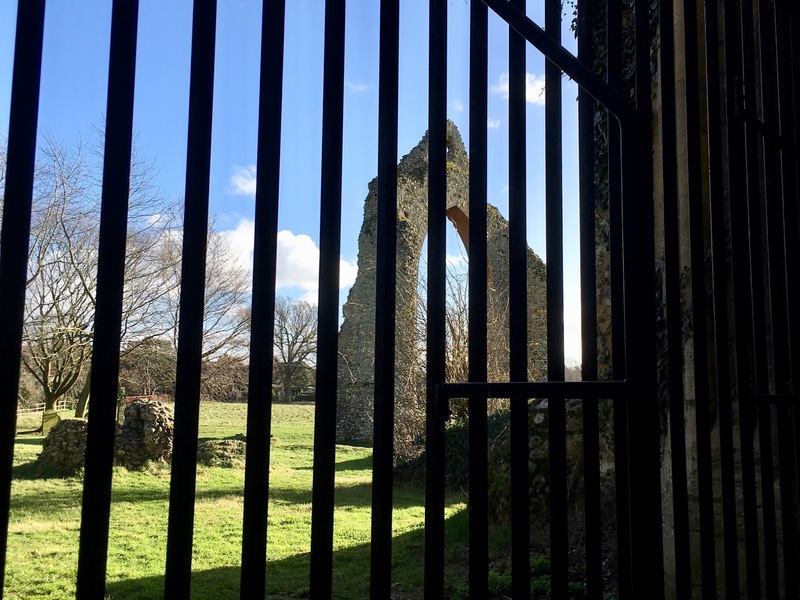 And the remains of the monastery are visible from inside the enclosure. 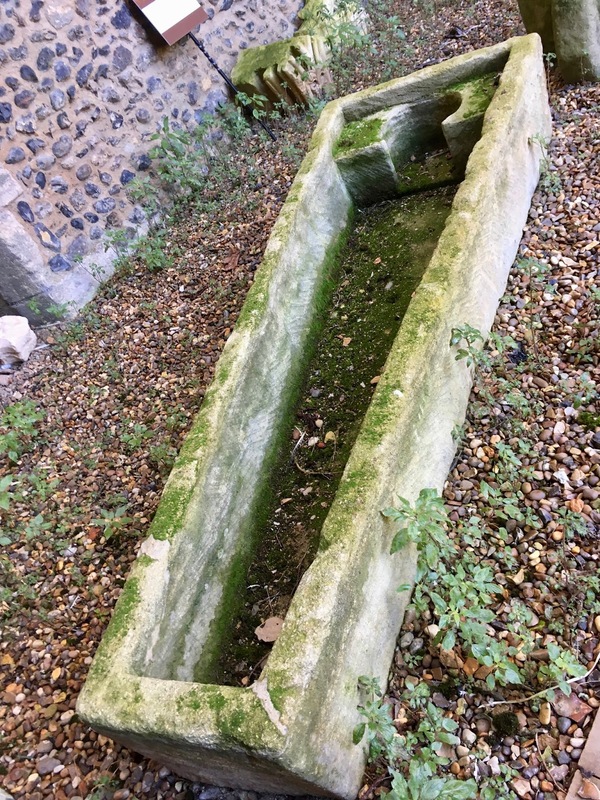 Also on display are two coffins with "head rests". William d'Aubigny decided his new church should also serve as a Parish Church for the townspeople. 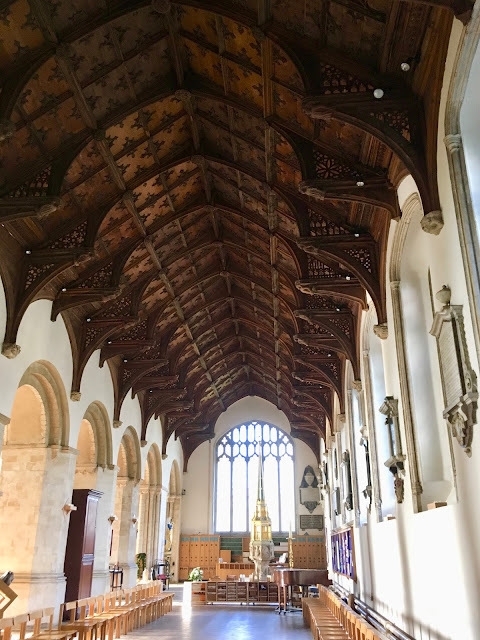 So, once the east end of the church was finished for the monks, a long nave was built for the parishioners and their old Saxon church was knocked down. 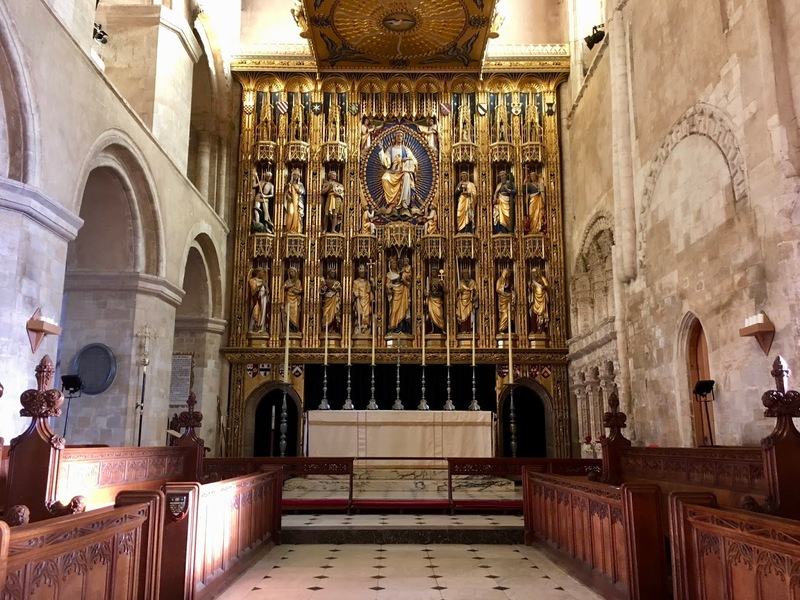 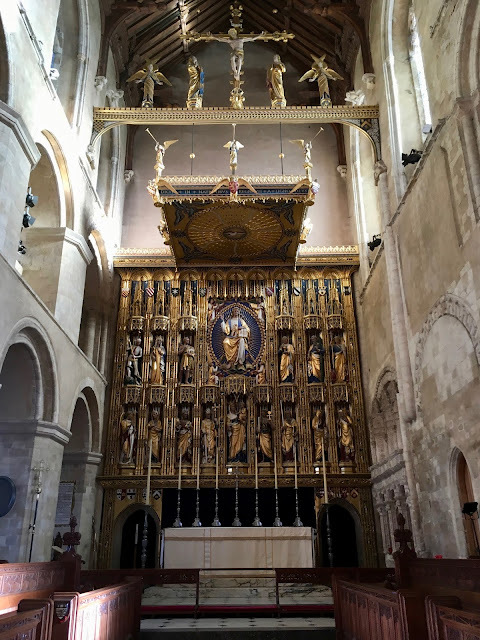 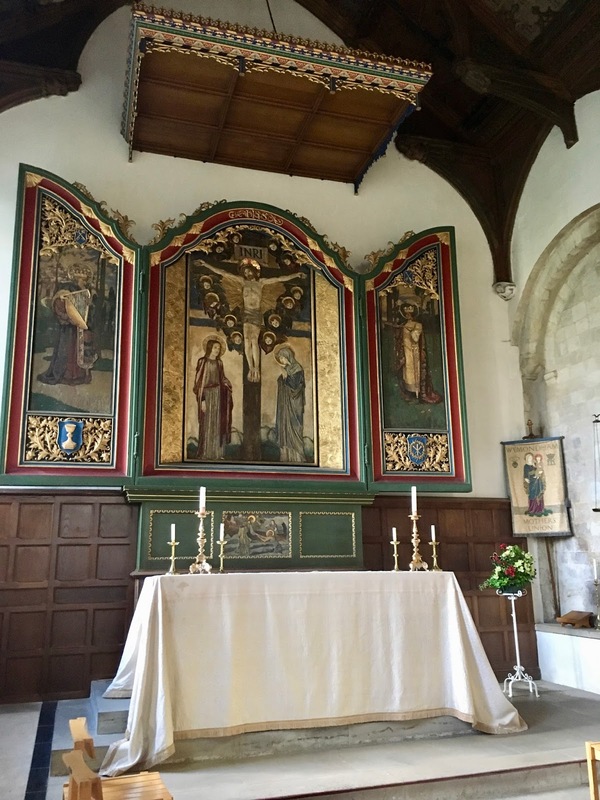 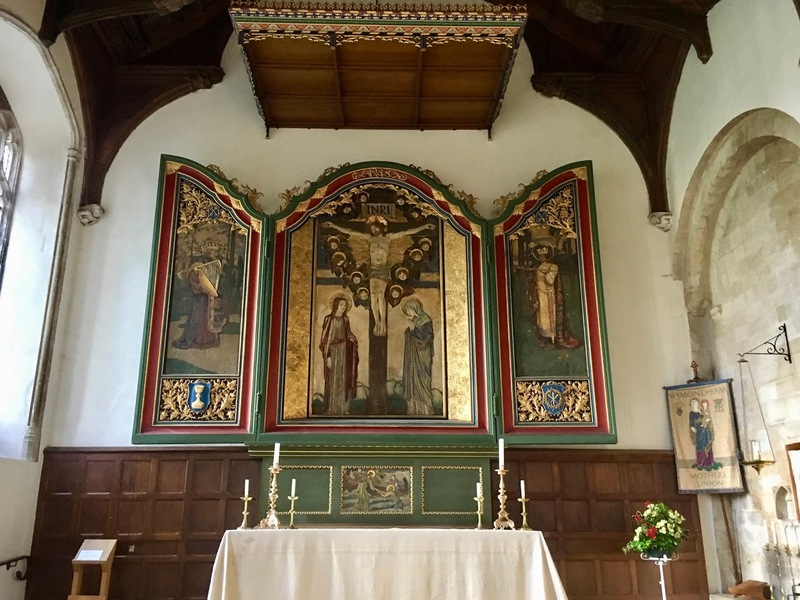 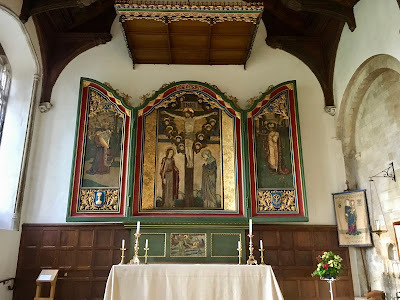 The gilded alter screen is a recent addition, designed by Scotsman Sir Ninian Comper in 1913 it was built between 1919 and 1934. 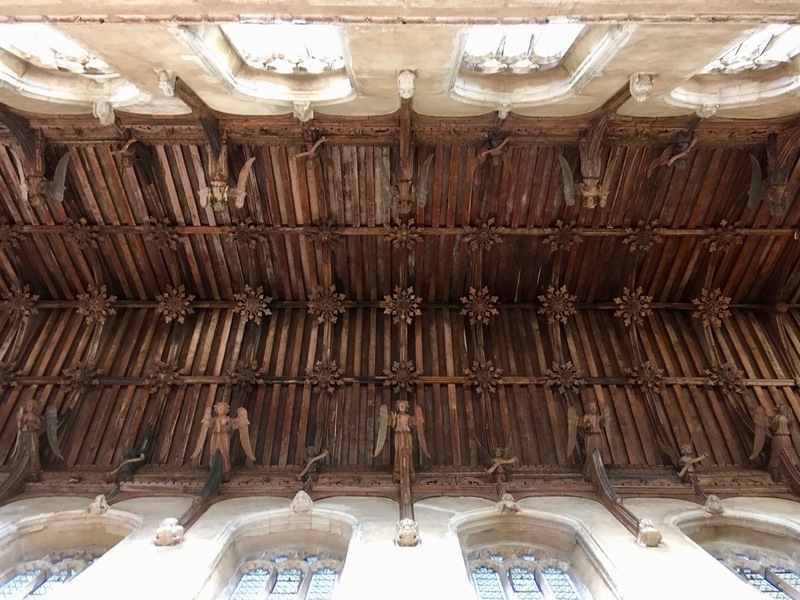 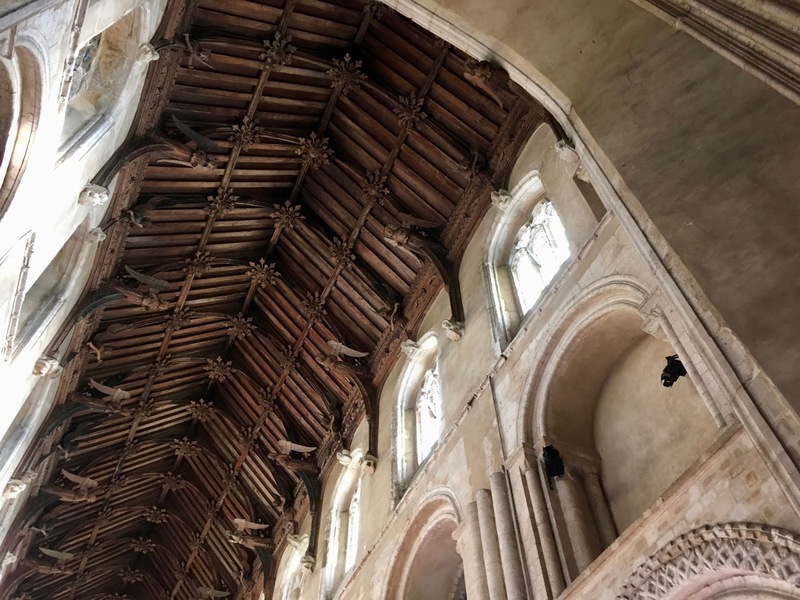 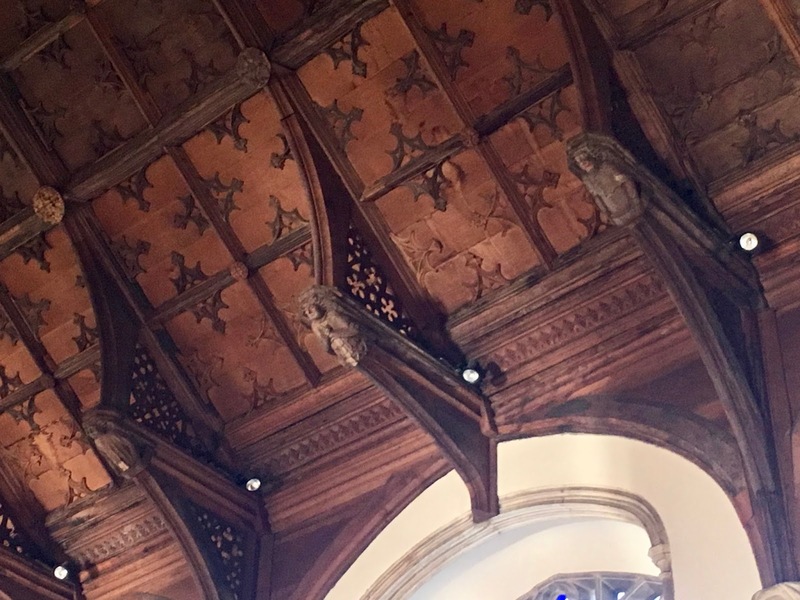 The main reason for our visit, however, is the mid-1400s roof supported by life-size angel carvings. 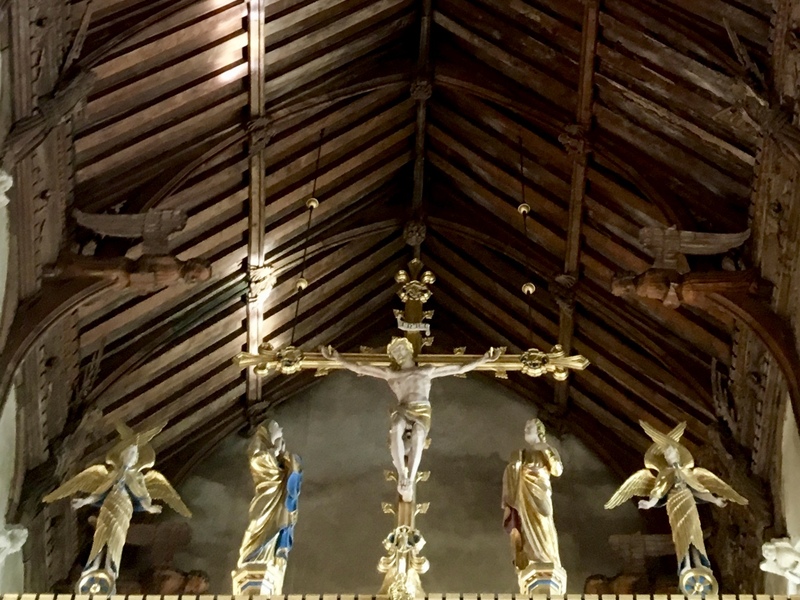 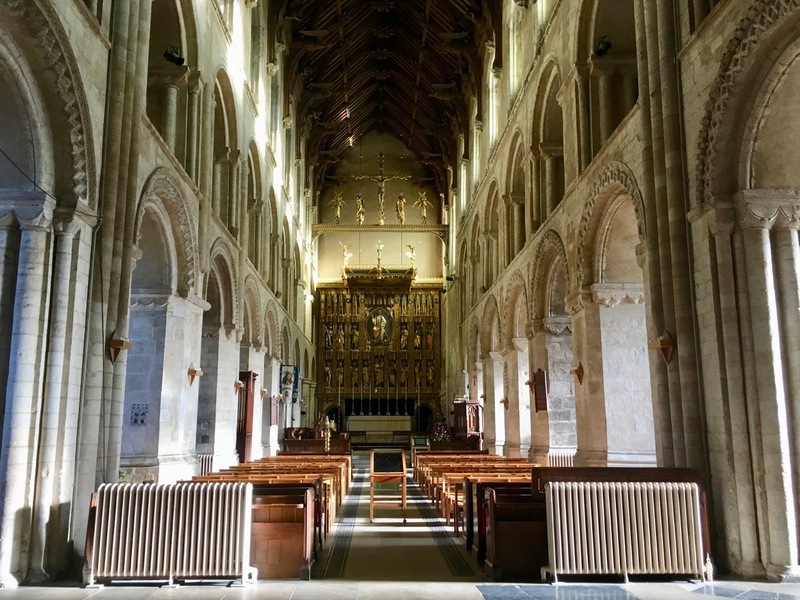 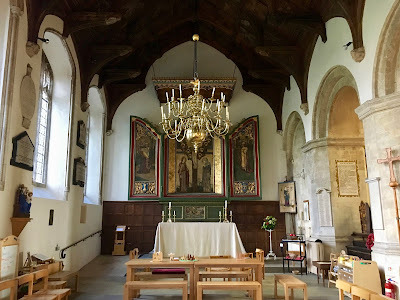 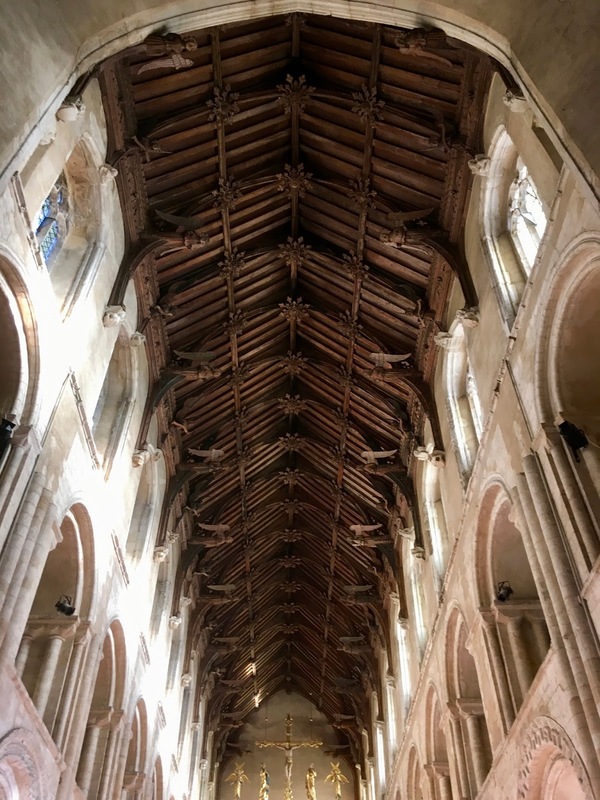 The wide north aisle, with the Lady Chapel at its east end, is in Gothic style with hammerbeam roof and carved corbels of angels, musicians and (so we are told) local characters of the day. 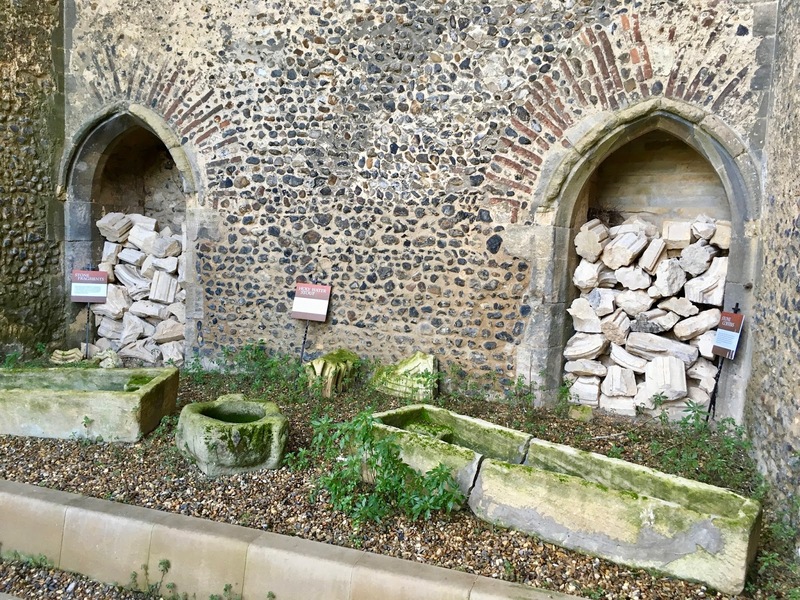 Faint remnants of what must have been brilliant colour are still visible on the stonework. 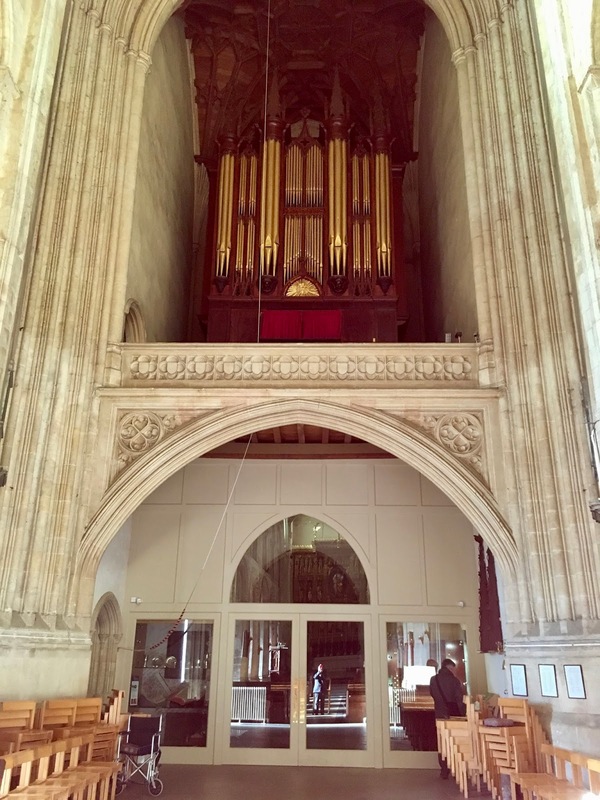 The 1793 Georgian organ is in a Chippendale-style case. 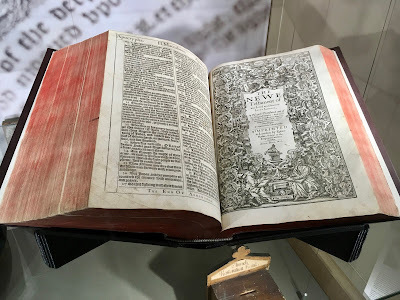 In the display window above left directly below the organ is the original 1613 Wymondham Parish Bible written in English rather than Latin. 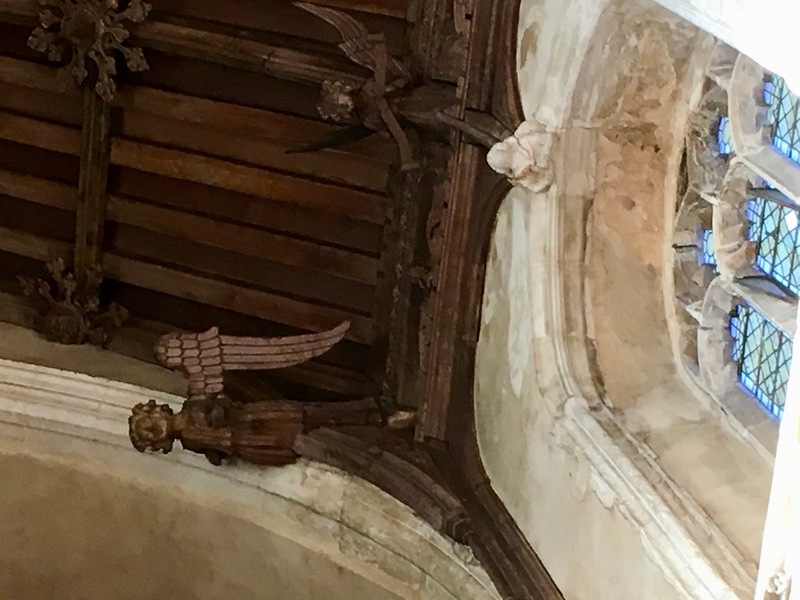 The south aisle now features a replica angel for photo ops as well as a gift shop. 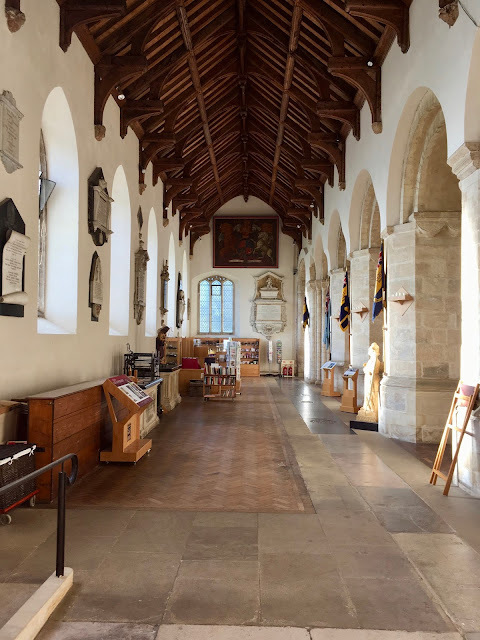 A recent addition to the south aisle includes a modern area for tea as well as a hands on display of historic items. 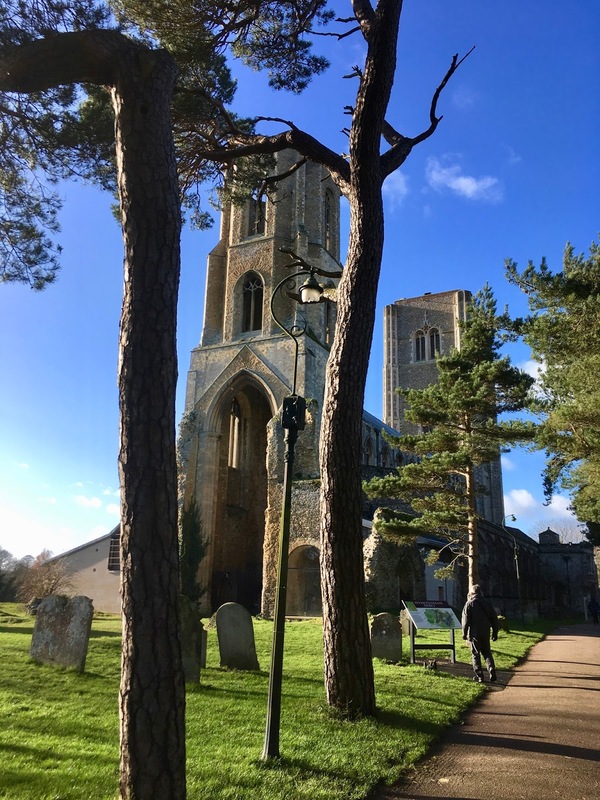 The west exterior of the church is as imposing a sight as the east tower. 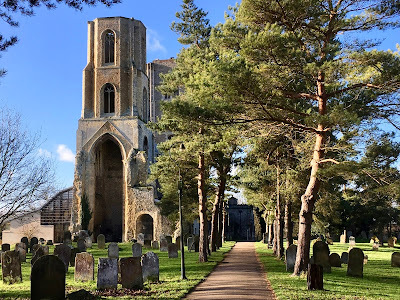 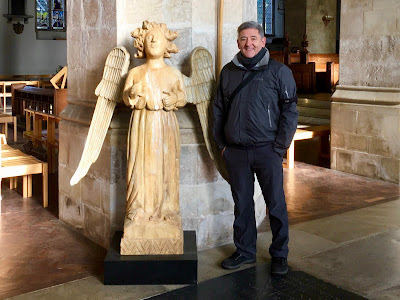 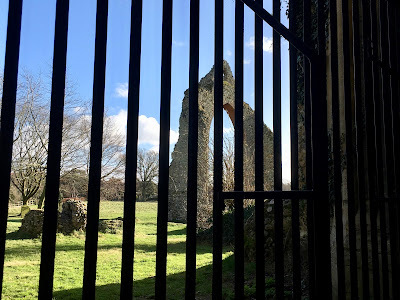 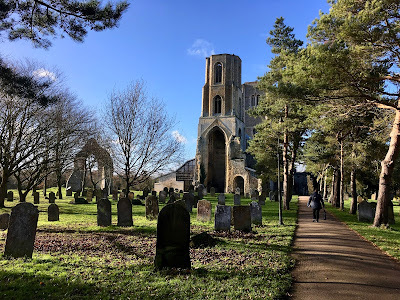 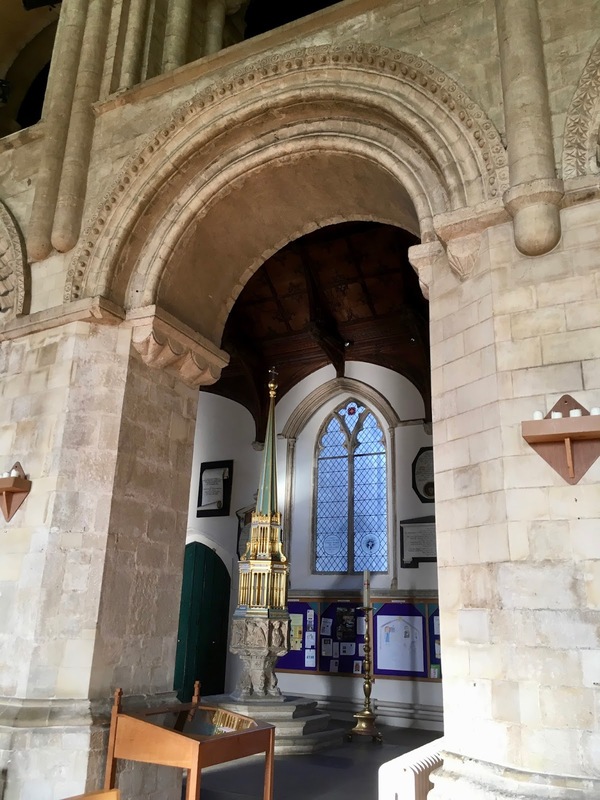 We could not have wished for a more beautiful day to visit Wymondham Abbey and are especially grateful to have viewed the more than 200 angels it contains. 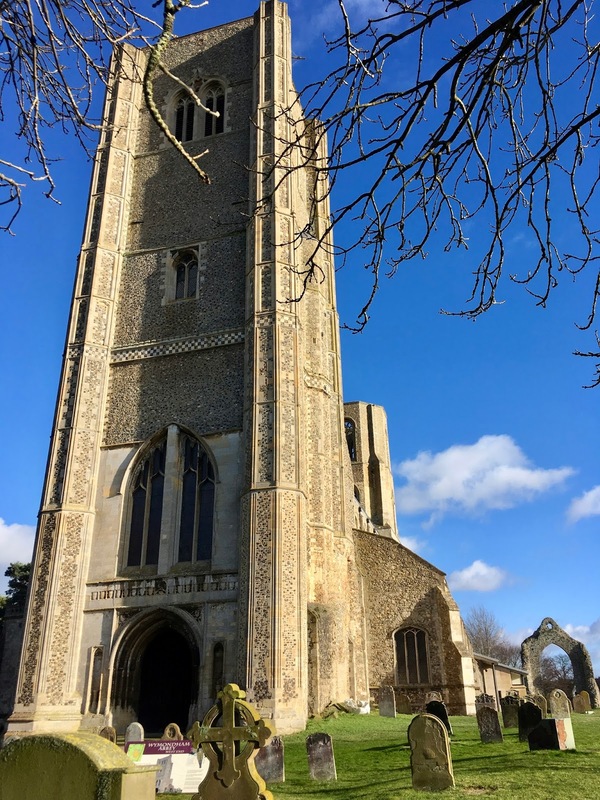 Today marks the end of our Attleborough housesit and we'd like to extend a special thank you to Chris and Sheila for inviting us back to care for their home and Gorgeous George. 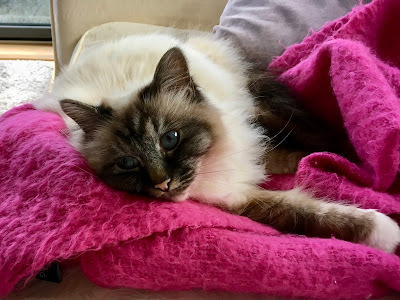 So many lovely memories and luscious warm cuddles!